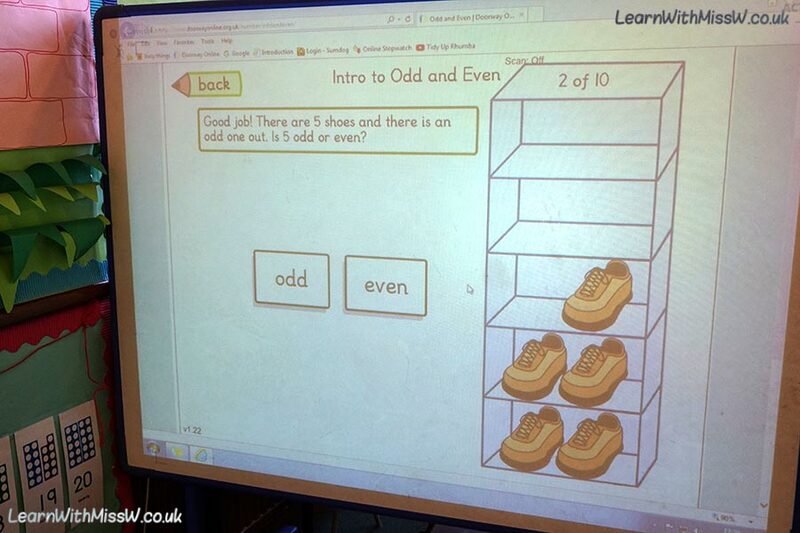 Odd and even is quite possibly my favourite concept in maths to teach. We started exploring this idea using the Doorway Online’s activity ‘Odd and Even’. We spoke first about pairing shoes on the shelves. If there was an odd unpaired shoe left over the number must be odd. We described the even numbers as being ‘all paired up’. This demonstration on the smart board matched one of the maths rotation games, pairing unmatched socks on the class washing line. The whole lesson we really focused the children being able to explain how they knew a number was odd or even, using the tens frame for reference.